The glitz & glamour of the fashion industry fool many Designers into thinking that it will be easy to break into fashion. On the other hand, what you don’t see, is the amount of financial resources, personal sacrifices, long work days and weekends that went into the brands of your successful counterparts. Let me say this now, if you have a poor work ethic and are not willing to make sacrifices, this business isn’t for you. Sometimes, just taking one week of downtime could put your business back by an entire month or even an entire year. You will need to give up on having a social life, family time, and sleep to make it happen in the early stages. If you aren’t prepared to do this, save yourself the stress, time and the potential bankruptcy you could bring upon your finances. The Beyoncé record “ego”, is your anthem. You’ve got a big ego, but unfortunately, it could be the end of your fashion dream. I understand as a creative person the feeling when you have put your heart and passion into something. As a result, I can relate to the feelings of disappointment when someone is critical of your final masterpiece. However, your customer doesn’t care about your feelings, they want a product that excites them and that is worth spending their hard-earned money. If you can’t see someone’s feedback, although brutal, as a teachable moment, you might as well shut down your brand now and save yourself the trouble of spending another dollar to develop it. A truly intelligent person knows that there is always more to learn and is, therefore, receptive to the teachings of others. 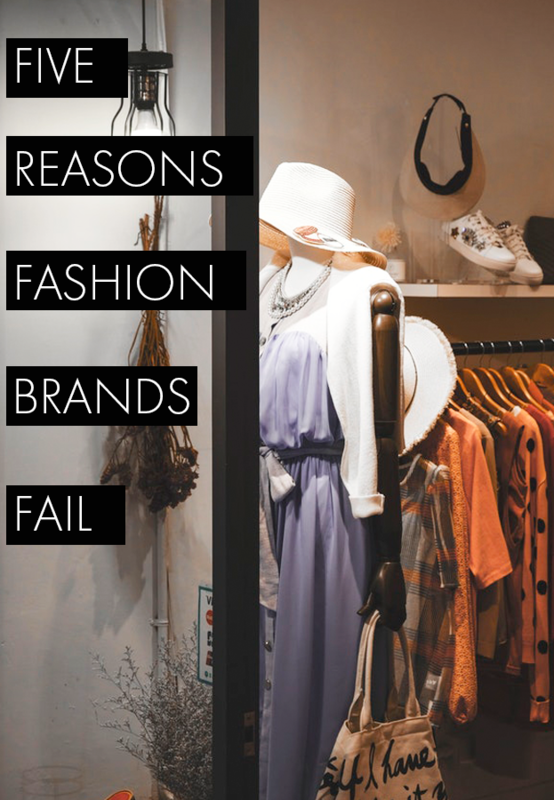 Most Designers who want to start their own fashion brands have very limited knowledge of how the industry operates. I cannot tell you how many Designers are resistant to the knowledge of experts, who do things their own way and act surprised when it fails. Some designers think that because they took one online class or read a blog article on WWD, this qualifies them as an expert. There is no true test like industry experience, hence, the reason for Consultants. Their goal is to save you from making costly mistakes that could force you close your business. The reality is, there is too much noise out there, too many people fighting for market placement. As a result, if you want success, it pays to listen to someone with the knowledge and insight who can help you to make it happen. Yes, Tiffany & Co has beautiful packaging, but that should be the least of your concerns as a young brand. I have seen Designers spend hundreds of dollars on custom packaging, but haven’t found a manufacturer for their designs. In other cases, they are spending hundreds of dollars to advertise with high-end publications with the goal to look credible as opposed to letting the product speak for itself. Yes, noise, commands attention, but what often happens to the loud attention seeker is that they are not taken seriously. Too many brands want the recognition, but they are not doing the right things to make that happen. Number four on this list will certainly lead to running out of funds. You must invest large amounts in cash towards production related expenses and marketing. You will need money to create your products and to invest in a focused marketing to create brand visibility. There are no overnight success stories. What seems like going viral took someone at least two years to accomplish. Are you guilty of any of these items on the list? Would you like my help in turning getting your brand off the ground or turning it around? Schedule a free discovery call with me here. Follow me on Instagram, Facebook, Quora & Pinterest.